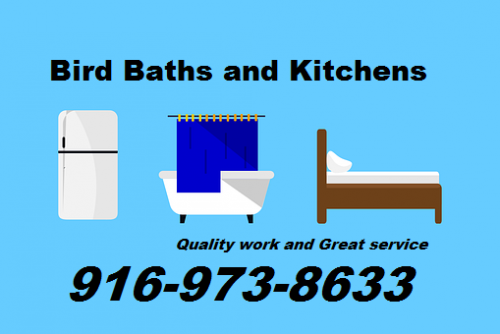 Get your home looking really good with Bird Bath and Kitchens. When you’re looking for a new kitchen, or to update your bathroom, remember to call Bird Baths and Kitchens. We take pride in quality work and great service.